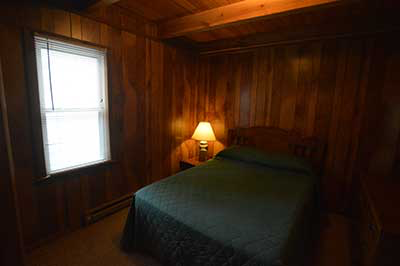 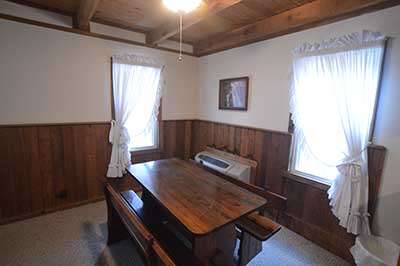 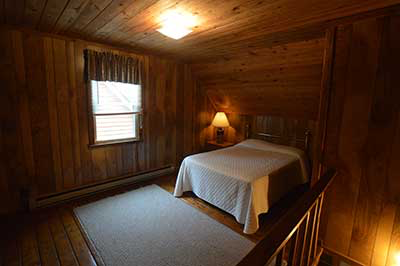 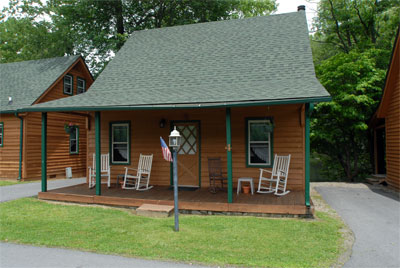 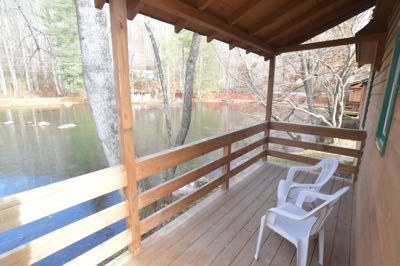 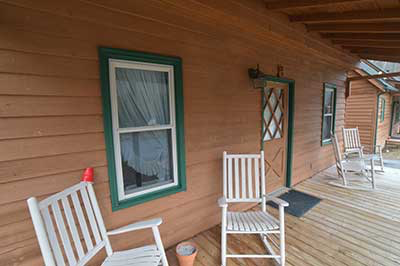 Cabin 4 is a three bedroom and sleeps 8 to 10 people and overlooks the pond. 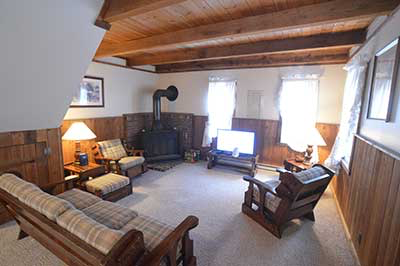 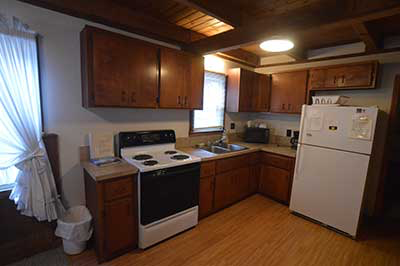 Full kitchen, living room with fireplace and color cable TV, Master Bedroom down, two large bedrooms up, front and back deck. 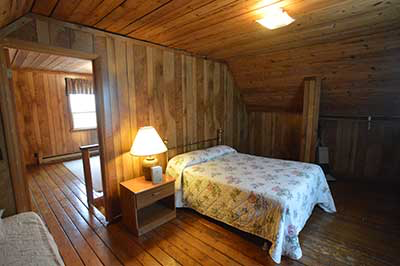 Downstairs bedroom has a double, up has a double and single in each room.